Anheuser-Busch InBev, the world’s largest brewer, set out to provide an improved customer experience that would increase brand-affinity and generate sales lift in retail stores across the country. To accomplish this, Anheuser-Busch wanted to leverage their in-store Cooler assets to creatively engage customers and facilitate their intent to purchase A-B products. A-B required a unique solution that could display various content formats, provide centralized management control for the entire network, and convert the static Cooler product display into an engaging and differentiating digital retail experience. Anheuser-Busch partnered with Aerva to use its AerWave software platform to manage content across the entire network of 1,000 Digital Coolers in retail locations. To appeal to customers and improve brand-integration at the point of purchase, Anheuser-Busch’s Digital Coolers display branded videos, graphics and animations catered to each region. Wholesaler and regional messaging for market-specific promotions can be added and modified, as needed, by Anheuser-Busch to augment the screens’ branded content. For powering the network, Anheuser-Busch selected Aerva’s cloud-based digital engagement platform, which provides seamless integration of dynamic and real-time content as well as the capabilities for managing large networks through a browser-based interface. “Being able to showcase beautiful digital content across our Cooler network is a extremely valuable and versatile touch point for connecting with our customers. 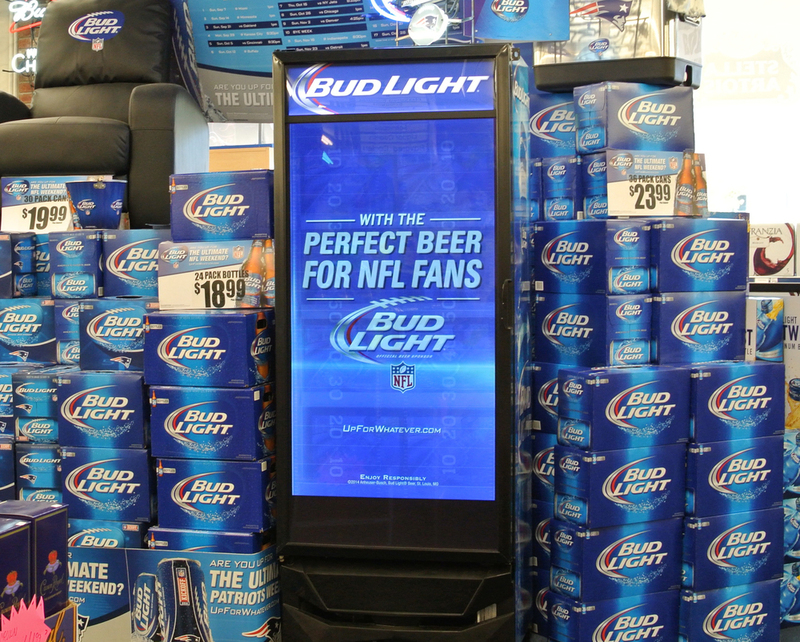 These Coolers are excellent for capturing the attention and engaging shoppers when they’re about to buy,” says Anson Frericks, Senior Director of Brand Activation at Anheuser-Busch InBev. 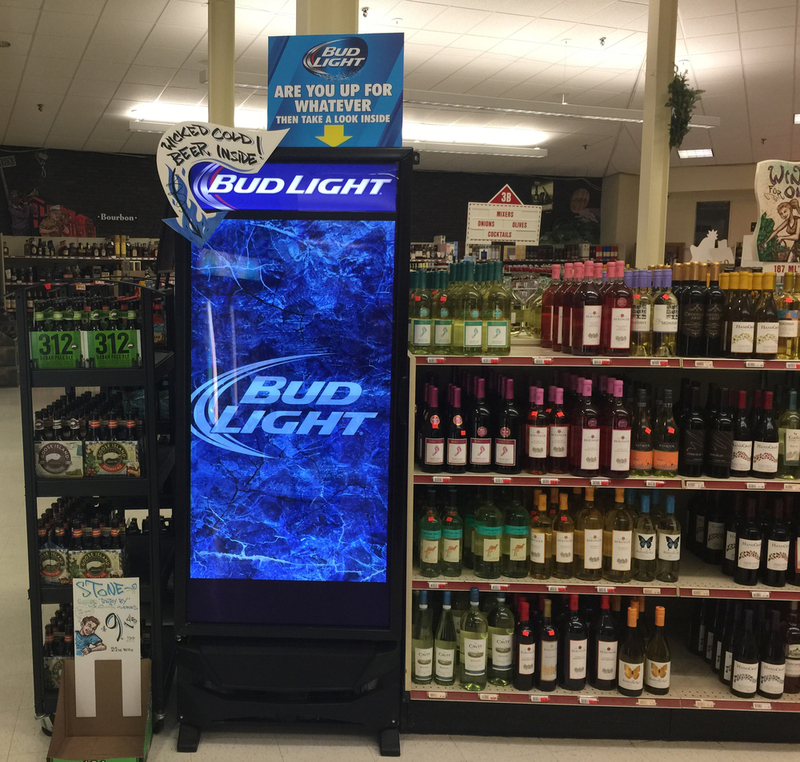 Anheuser-Busch’s retail Digital Cooler network provides a powerful in-store experience by showcasing fun and enticing content that engages consumers at the point of purchase, reinforces the Budweiser brand, and drives sales.